Bluelight electro acupuncture devices will be the brighten spot on the 109th China Import and Export Fair. Time is 30th March, 2011. Canton Fair is the name card of Chinese import and export industry. Over the past 50 years, it have great impact to economy of China, and also to the Guangzhou, Guangdong and other cities' life. Canton fair, as the platform of exporting, have the significant influence to the world economy. Every time, the canton booth area on every phase is 340 thousand square kilometers. And 1.11 million in total. Among these, there are 55620 international booths. Canton Fair is the biggest fair in Asia and the third on the world. Hubei Bluelight Science&Technology Development Co., Ltd. Will attend Canton Fair from May 1st to 5th, invited by the host. Our booth number is 10.2C41. 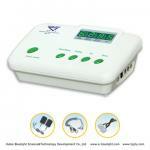 We will show our Bluelight electro acupuncture devices on our booth. Welcome customer from abroad and home to our booth. Bluelight Company prepared for this Canton Fair for long time. 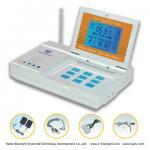 This time, the main products are theBluelight electro acupuncture devices, such as BL-H,BL-G, BL-FB, BL-FA, BL-F, BL-EX, BL-EA and BL-E. Besides some other accessories, slices, electro contactor, far infrared thermotherapy, hands and ears diagnosis tools, eye massager, foot massager will be supplied to customers. Bluelight electro acupuncture devices are the best products combined traditional Chinese medicine theory and advanced technology. They are the necessary device for hospital, clinic and family. 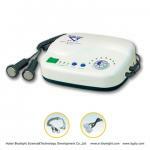 The magic effective, good quality, perfect service made Bluelight known by world people. Bluelight always take " Care for human health, return more to the society." as our believe. Attending the 109th Canton Fair, from one point, we want to promote our fame, and from the other side, we want to get more fame for our Chinese brand and our technology. 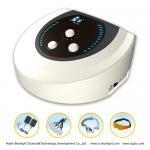 Bluelight bring advanced technology, develop, promote, self-enhance on medical devices. We have a whole system of developing, production, promoting. We provide good quality and services, received more and more support from our customers. We make sure that the products that we provided is the best for our customers. Ms. Cindy Du will lead our team to attend The 109th Canton Fair, and other two sales managers will accompany. We believe that with good reputation and wide manage experience, Hubei Bluelight Science&Technology Development Co., Ltd. will have better result. We made two new online shopping website, www.e-bluelight.com and www.wellsee.cc for customer easy purchasing. And also can comment on the products and services on our websites. Hold the belief " Promoting Chinese medicine theory, advocating energy saving society", Bluelight are going to build the beautiful new world with you. Bluelight CEO and staff welcome you to our Canton Fair booth. And hope the 109th Canton Fair finish successfully.